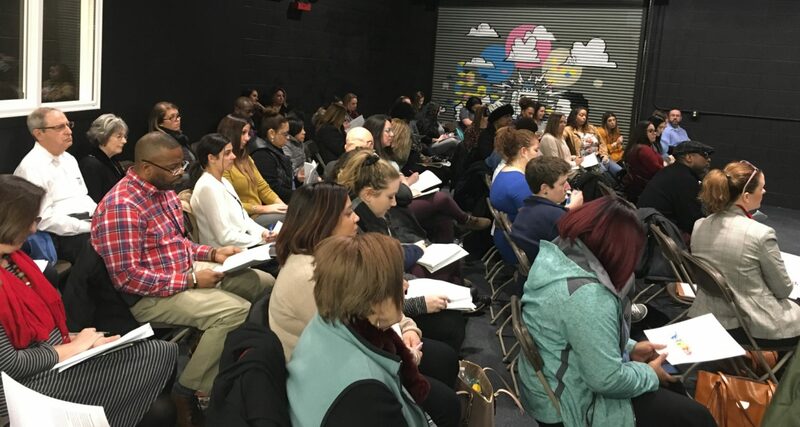 The Art Works Studio, together with the New Haven and Hamden/North Haven Collaboratives, hosted the South Central Network of Care (SCNC) Meeting at the Art Works Studio in Hamden yesterday. The SCNC bring providers, community members, caregivers, family members and youth together to address the challenges of meeting the need for services. In attendance were community agencies, providers, the board of education, and families. Art Works Studio coordinator, Chrissy Clarino, presented information on the studio’s role as a community resource.